Proposals are carried out to achieve a certain objective or goal. 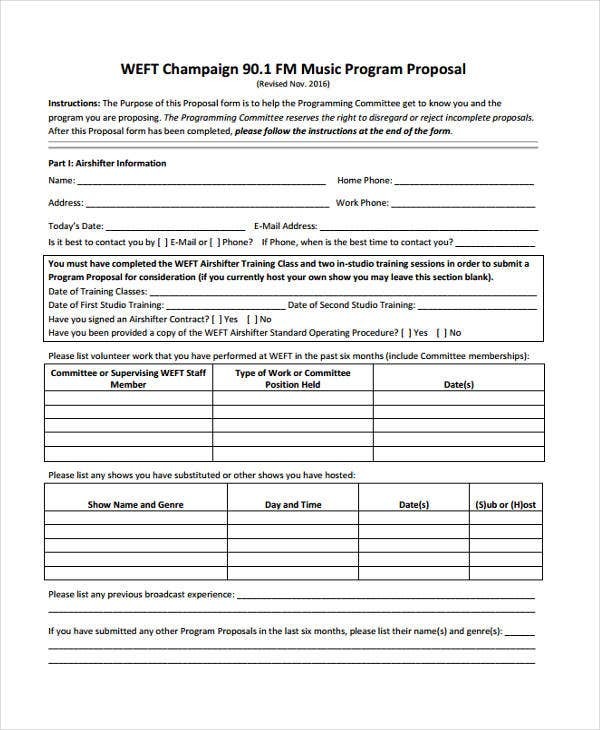 Take for example a Grant Proposal created by an individual or an entity to convince an institution to fund a project to address issues in a community. This proposal is for non-profit purposes which differs from a Business Proposal which is made for the purpose of garnering a sale. 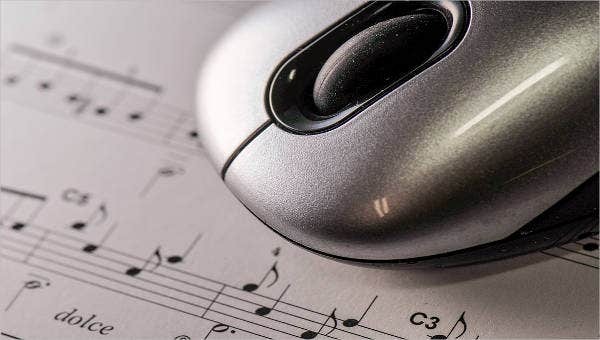 When it comes to the music industry, there are various factors and issues to deal with. 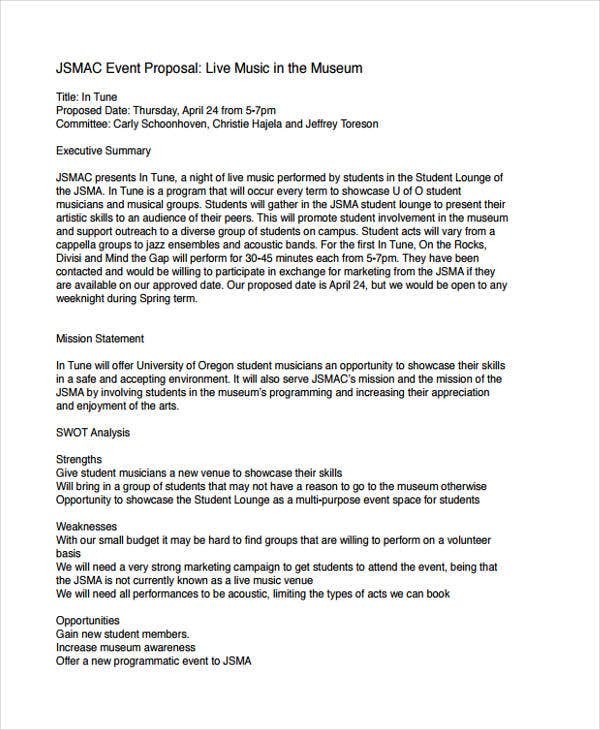 For a music business to push a music event or to improve the business itself, he must be able to make a proposal that would make him gain the approval of sponsors or investors. 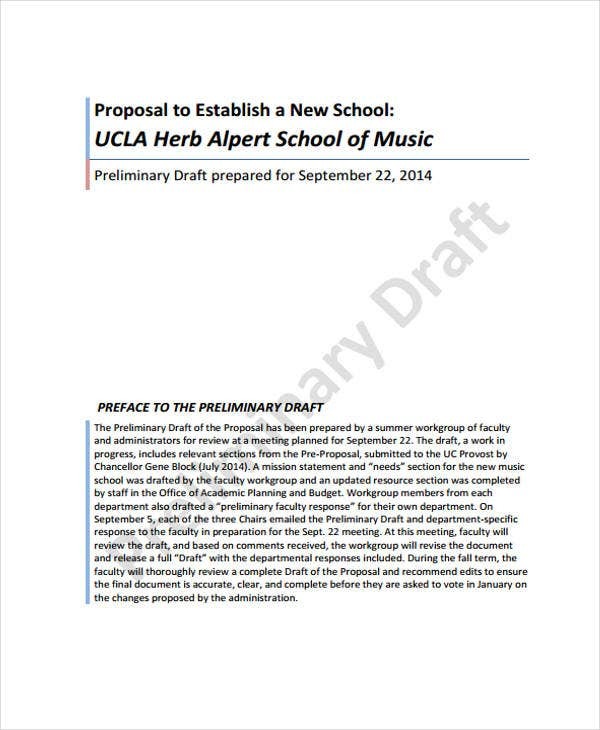 You may also proposal templates. Executive Summary – Present an overview of your company’s core values stated in the mission and vision. Give a brief background of your music business including the artists you have associated with. 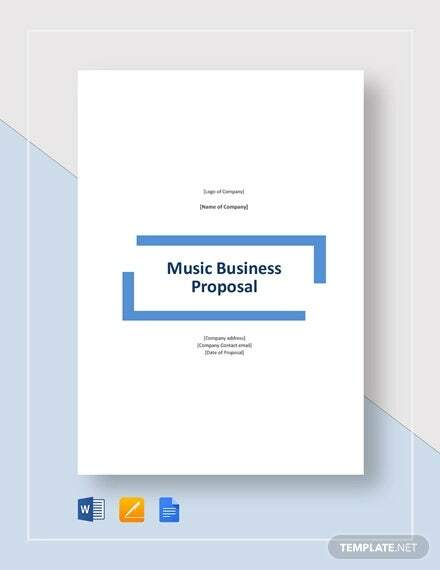 Market Condition – A music business proposal serves as a marketing tool similar to the Marketing Proposal Templates on this website. 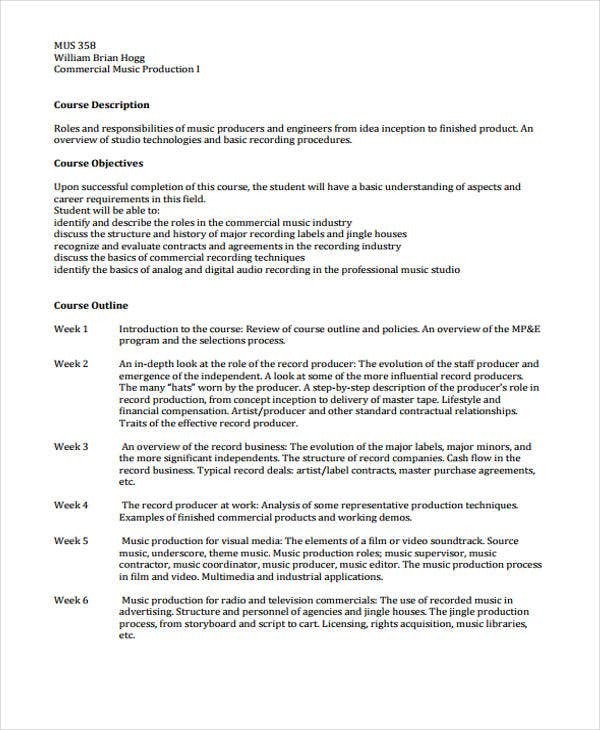 You must be able to lay out all the good attributes of your business entity which includes your position in the market and the trends of the music genre your entity is focused on. Description of the Entity – This serves as an introduction of your business. Indicate who you are, what you offer, who your audience are, the nature of your business and the organizational structure. Marketing Strategies – Explain the ways your entity is promoting the artist and the music to your customers, the artists’ fans. This includes the merchandise you are selling, which has a large factor when it comes to marketing music. 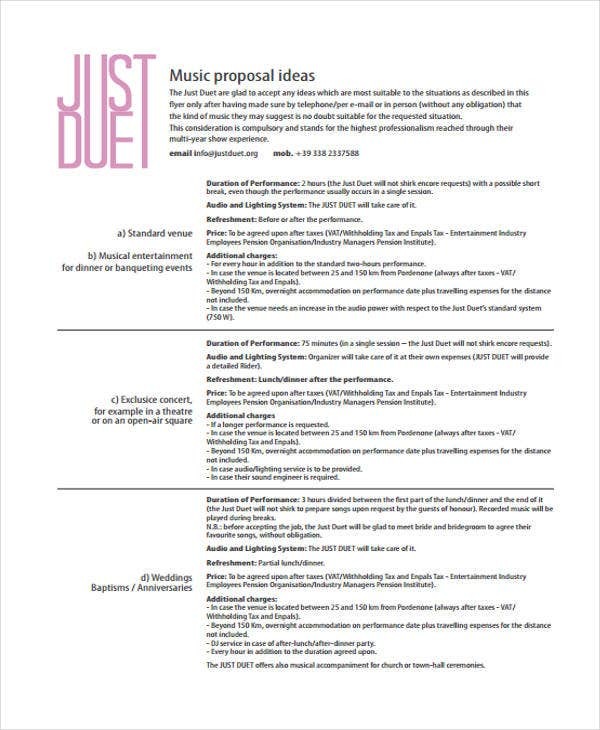 Estimated Gains and Costs – Similar to an event proposal template, a music business proposal must present the projection of costs and benefits to be gained. Sell your music. When it comes to music business, sales is everything. You must put this into mind in order for your music to gain the market position you want to achieve. Do research. It is essential to know the information regarding who you are presenting the proposal with so that you can conform your proposal to their needs. Keep it concise. Create your proposal short but crisp and precise in the points you want to stress out to your prospective clients. 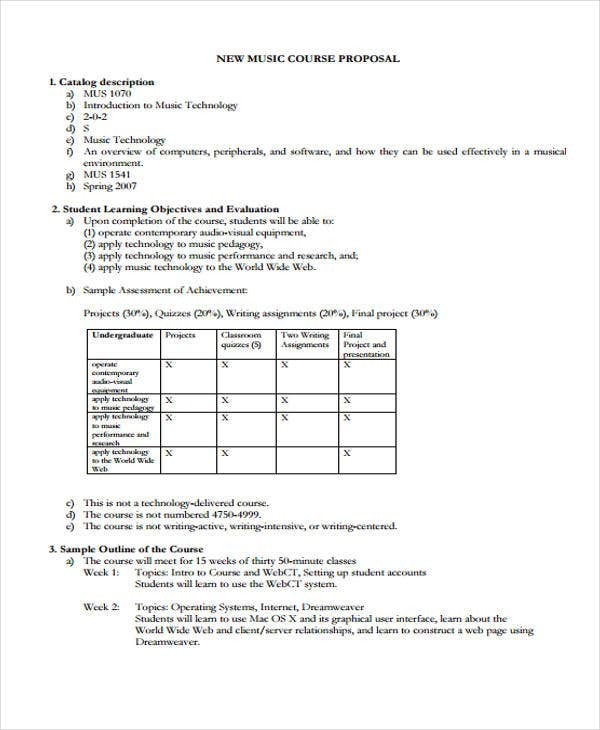 You can see that most proposal templates are presented in one to two pages. Clearly state your business. Indicate the reasons for your proposal to the client clearly. Go straight to the point. Be notable. Your proposal must be brilliant in order for the client to remember you. 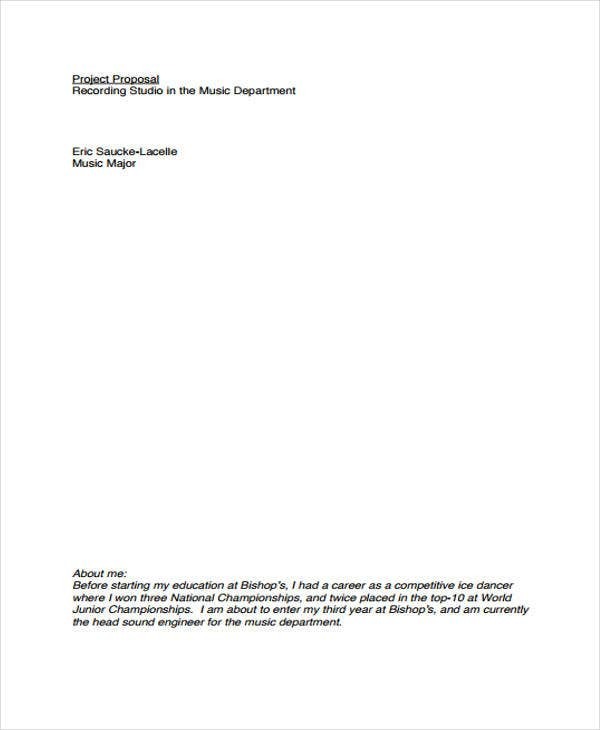 In making a music business proposal, think about making yourself memorable. 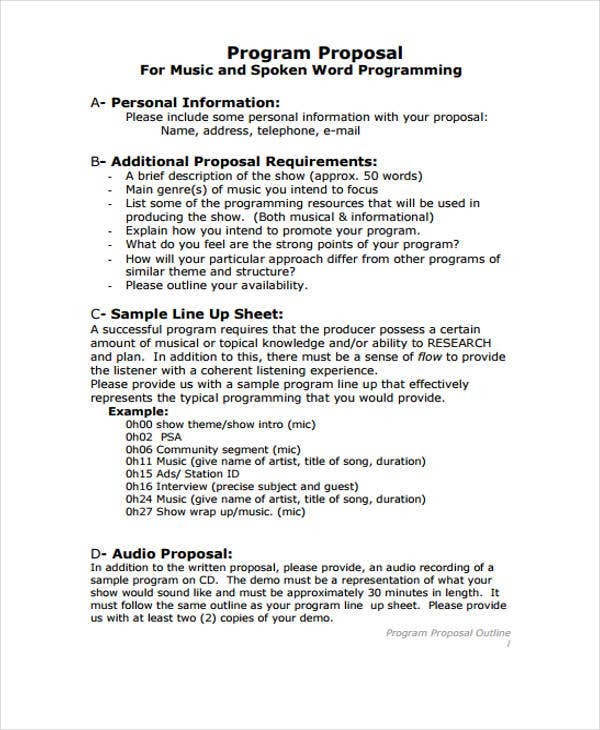 In order to attain the goals you want for the career of your artists and for the growth of your music business, you must generate a music business proposal that would showcase the strengths of your entity.